The assumed dilemma of every revivalist group: Do you keep churning out respectable imitations of a bygone era or do you move on, eschewing purism for a more updated take? Innerspeaker established Tame Impala as a fine psych-revival group, but 2012’s Lonerism is the great step forward, indebted to the past but coated with a modern sheen. Impala mastermind Kevin Parker is still singing like Lennon and writing songs that wouldn’t be too out of place on a Todd Rundgren album, but here he largely trades his guitars for washes of cool-colored synths. True, this results in a sound that maybe fits in a little too nicely with the current indie trends, the sort of sound invariably described by critics as “hazy” and “dreamy.” And, yeah, it occasionally bogs the record down, particularly in the first half. 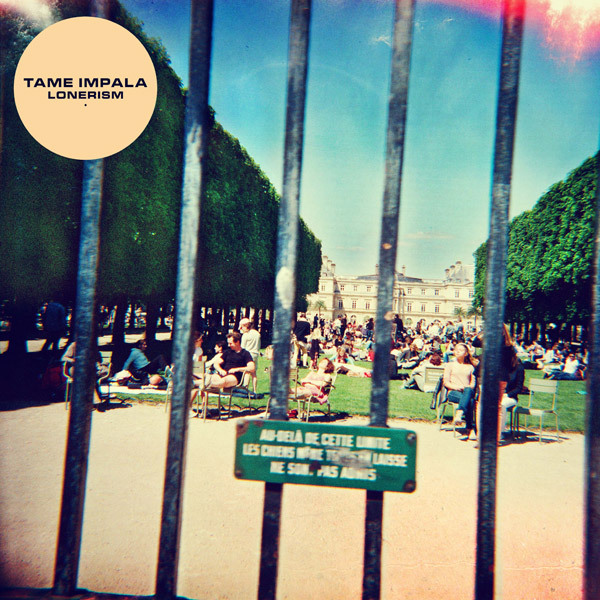 But before you roll your eyes, you should know that Lonerism overcomes many of these clichés through the sheer strength of its songwriting. Working through themes of social alienation and depression, Parker crafts some of his most moving songs to date, as well as some of his hookiest. The self-affirming opener, “Be Above It,” repeats its title like a mantra in a beautifully affecting way; “Why Won’t They Talk To Me?” and “Feels Like We Only Go Backwards” set crippling loneliness to blissed-out vocals and some of the catchiest melodies Parker’s ever penned, while the gleeful stomp of “Apocalypse Dreams” and the swaggering “Elephant” help broaden the band’s horizons. If Lonerism sometimes recalls MGMT or Flaming Lips, look no further than the common connection: Dave Fridmann, the go-to man for recording an experimental pop opus. Fridmann only provides mixing duties here, like he did on Innerspeaker, but his expertise helps give Parker’s recordings some needed balance and focus, keeping the production from drowning out the songs and vice versa. By and large, though, this is Parker’s vision all the way, and with Lonerism, he and Tame Impala have truly started to realize their considerable potential as artists and musicians.